Please select an option S 2xl L M Xl Please select a leftsize. Please select an option Xl S 2xl L M Please select a rightsize. Be humorous with our BFF racer back for Women's best friend matching shirt. 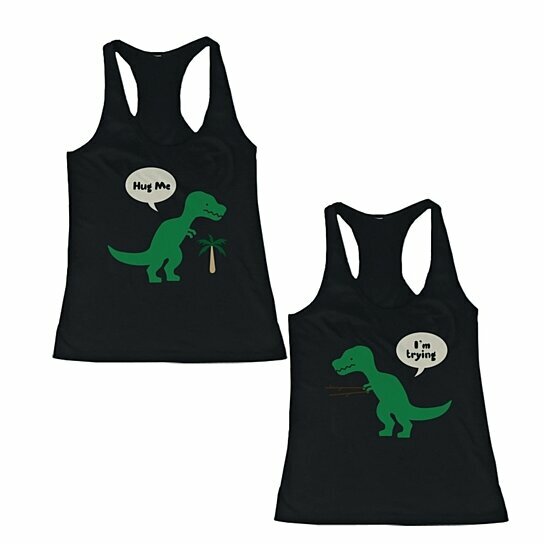 Black tanks with Hug me I'm Trying Funny Dinosaurs T-shirt with Cute T-rex is perfect wear for hot summer days! . You and your friend can wear our shirts together at the beach, gym, and anywhere. High-quality illustrated tees let you express you and your BFF's friendship with style and a little humor.